As professional Garden Maintenance Contractors we specialise in providing commercial grounds and garden maintenance, and pride ourselves on the quality of our professional, friendly and personal service. Our garden maintenance team provide a fast efficient service, without compromising attention to detail. The same dedicated team look after each one of our contracts, and we have been providing this service for some of our clients for over ten years now as committed grounds maintenance specialists. Our maintenance care contracts include, mansion grounds, communal gardens, school grounds, new homes, and rented properties. 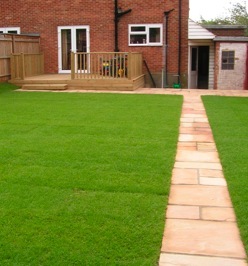 We also offer a cost effective and efficient garden maintenance service to residential customers. Please contact us for a free quotation. Discounts are available for pensioners. We also work in other areas and its always worth contacting us to see if our services are available in your area. We look forward to your hearing from you in our role as a grounds maintenance contractor or to discuss your Garden Maintenance requirements.